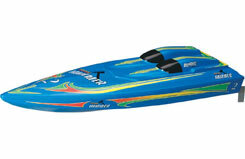 Nitro Hammer is the perfect introduction to I/C model powerboating. 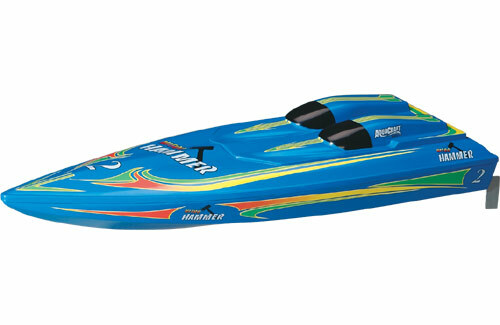 Featuring a factory-finished fibreglass hull, and powerful .15 size pull-start engine with tuned pipe, this model has amazing performance. Radio equipment is pre-installed. Requires glow fuel, glow starter and 12 "AA" batteries.